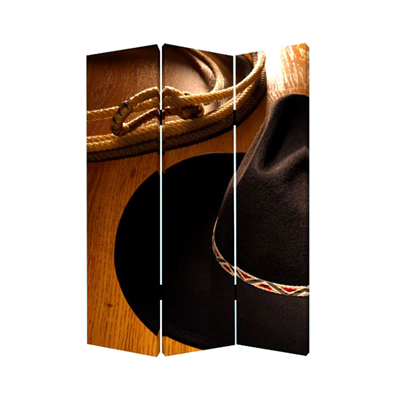 Giddy up onto finishing a wonderfully Western-themed room with our Round Up Screen. 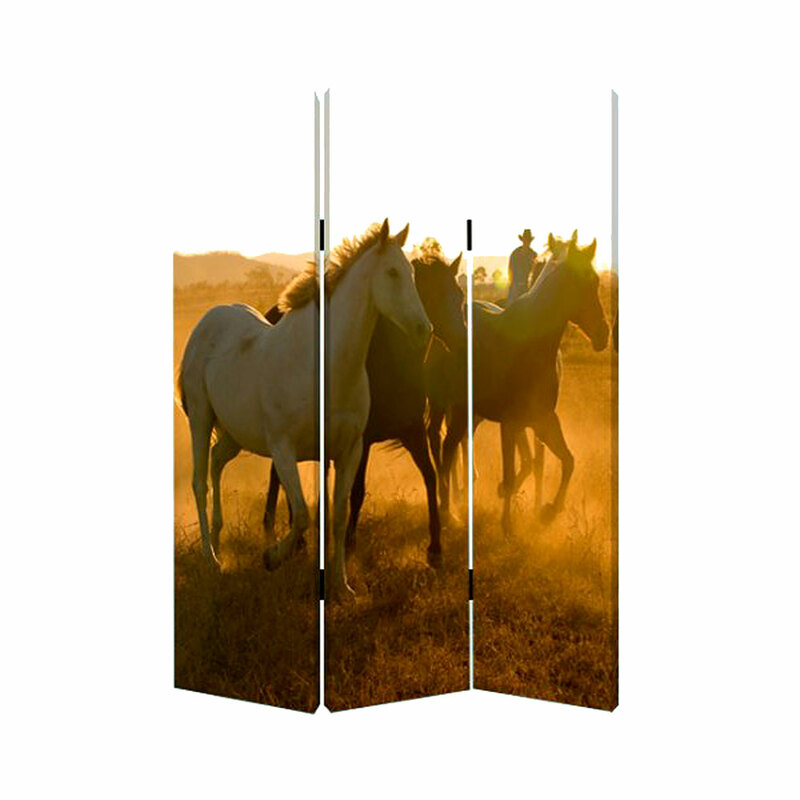 With the image of galloping horses on one side and cowboy hats on the other, you can choose whichever scene to give your home that cowboy touch or use both scenes to create a wonderful décor piece for both sides! 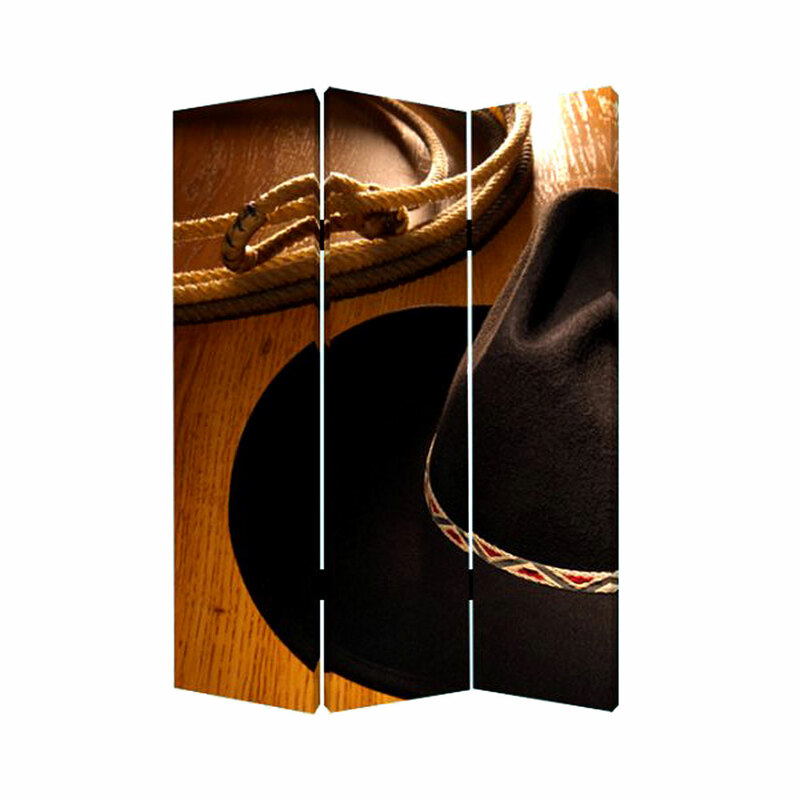 You’ll be yee-hahing when the Round Up screen gives your home that functional piece it’s been needing!